Love song, sad song? I’m not quite sure. 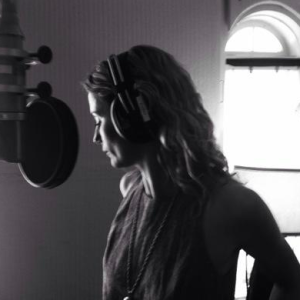 There are two ways to look at Jennifer Nettles and her career right now. I think it’s pretty cool that she’s really giving her solo career some major effort. She released her first solo album a year or so ago. There weren’t really any hits from it, but she’s switched labels now and is ready to start with a new song. The other way to look at her effort is that sometimes an act gets together and things just click. Each person has their own ideas and together they bring out the best in each other and raise each other up. Maybe that’s the case with Sugarland, but this new one from Jennifer sounds pretty good. This song has depth to it. I’m not sure if it’s a love song, a life song or a sad song. It seems like there is some pulling and pushing going on in the lyrics and in the performance. It seems like the narrator can’t really get by without the person they care about even if they think they should or if it really hasn’t worked out to this point. The production is pretty big on this one. Jennifer’s voice has always been right on the edge of rock and country, but she always has that twang just below the surface and it comes across really well on this one and I like it. This one has a chance of being a big hit I think. It will take country radio getting on board with her solo career, but it just takes one good song for that to happen. Will this be that song?